Super Wash Laundry is the Shoreline’s premier Laundromat and Dry Cleaners for self service and drop off laundry customers. 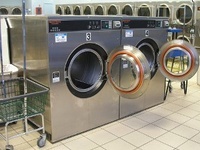 With 95 washers and dryers, we have plenty of machines and choices to get your clothes cleaned fast. Whether you live in East Haven or Fair Haven CT it’s worth the drive. Most drop off laundry is done the same day! We take pride in making sure that we’re the Shoreline’s cleanest and friendliest Laundromat with a helpful attendant always on duty. Since Super Wash Laundry is a modern card operated Laundromat it’s a lot easier than the old coin laundry and you can use cash, Visa, MasterCard, Amex or Discover card. 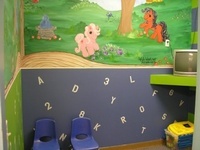 Plus we have a small play room for children.